A Tata dealer from down south, Coimbatore to be precise, has given the Nexon compact SUV the rose gold treatment. This new paint scheme is a one-off, dealership level modification job, and is not a regular variant that Tata Motors sells across India. 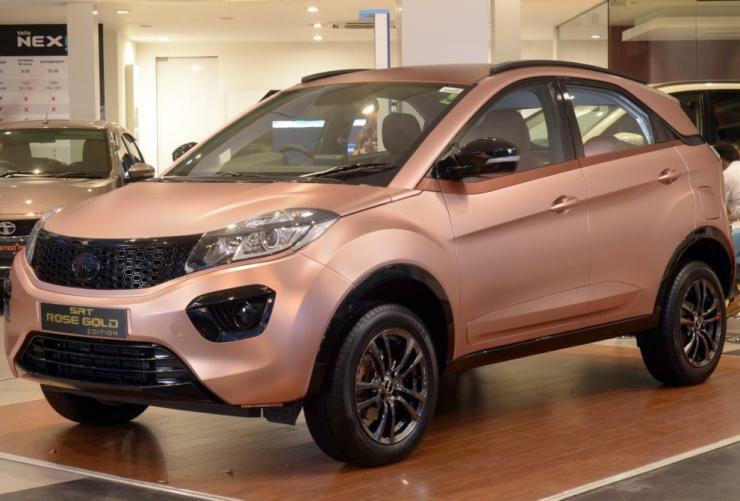 Named the SRT Rose Gold edition after the dealership – SR Trans Cars – this custom Nexon also gets revised interiors to go with the new external paint scheme. Considering that Indians love the rose gold colour on the Apple iPhone, we won’t be surprised if the dealer gets a deluge of orders for this unique-looking Nexon. Notably, the Tata Nexon SRT Rose Gold is currently on display at the Coimbatore dealership. Delving into the specific changes on the Nexon SRT Rose Gold edition, the exterior colour of the car is in rose gold, the grille, air dam, badges and wing mirror housings get blacked out, the window line gets a darker shade of rose gold while the alloy wheels and roof rails also get blacked out. On the inside, the compact SUV gets a black and rose gold dual tone scheme. The seats have also been finished in rose gold. The custom job is based on a top-end trim Tata Nexon, which means it’s a fully-loaded model. This customized example seems to be a petrol-powered variant, which means that it’ll host a 1.2 litre, turbocharged petrol motor with 108 Bhp-170 Nm. This engine is now offered with 6 speed manual and AMT options. 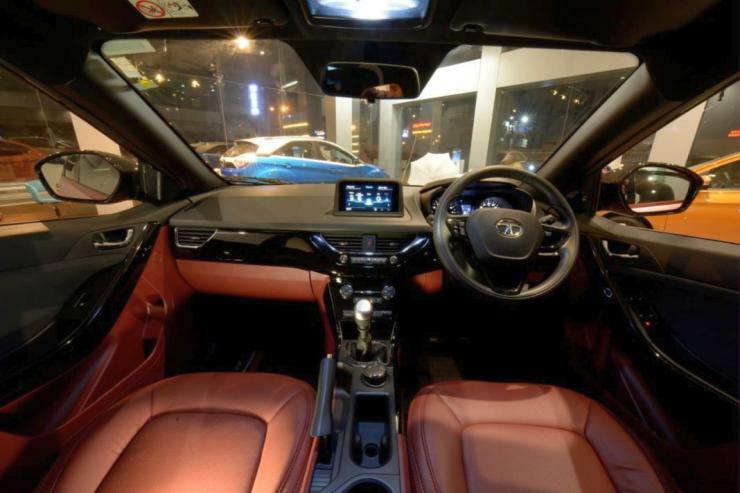 Notably, the SUV is also available with a 1.5 litre turbocharged diesel engine, with segment-leading power and torque numbers of 108 Bhp-260 Nm. The diesel motor shares its transmission options with the petrol. This SUV is Tata Motors’ best-selling SUV, with steady monthly sales of about 4,000 units. Feature rich and sharply priced, the Nexon is the best value-for-money offering in the compact SUV segment. Prices start from Rs. 6.29 lakhs, and the SUV is available in 5 trims with both petrol and diesel engines.